Nathan Ryan Stuber, 34, Mexico, Indiana, passed away at 5:05 p.m. Saturday, May 12, 2018, as the result of motor vehicle accident in rural Miami County. Born April 1, 1984, in Peru, Indiana, he was the son of Kerry Lee and Melissa Ann Porter Stuber. On September 1, 2012, in Gatlinburg, Tennessee, he was married to the former Ashley Marie Martin. Nathan was an active member of the Church of the Heartland in Rochester, Indiana, where he served as head greeter and helped with construction projects. Nathan grew up in Chili, Indiana, and was a 2002 graduate of North Miami High School. He was employed for the last fifteen years at Tecomet in Claypool, where he was currently working as a machinist. A dedicated friend and family man, Nathan was always there for others. He enjoyed camping, spending time and traveling with his family, and putting his Lego architect skills to practice. Nathan is survived by his wife, Ashley Stuber, Mexico; children, Addison Coria, and Noah Stuber, both at home; parents, Kerry and Melissa Stuber, Chili; brother, Nick (Laci) Stuber, Roann; grandparents, Allen Lee Stuber, Denver; and James Leroy and Mildred Lue Porter, Kokomo; and nephew and niece, Jake Ryan and Sawyer Layne Stuber, both of Roann. Also surviving are his wife’s family, including her parents, Tina (Jeff) Wright, Rochester; Kevin (Linda) Martin, Rochester; grandparents, Mari Rush, Rochester; and Ken and Phyllis Martin, Logansport; brothers, Kory (Jenny) Martin, Zephyr Cove, NV; and Erick (Jayci) Martin, Rochester; and nephew, Kooper Martin, Zephyr Cove, NV. In addition to his family, Nathan leaves behind his fish, Lenny, Antwan, Taco, Carl, numerous anemone and coral, and his dog, Milo. Nathan was preceded in death by his grandmother, Carolyn Kay Stuber. Funeral services will be held at 1:30 p.m. on Sunday, May 20, 2018, at McClain Funeral Home, Denver, Indiana, with Pastor Jim Howard officiating. Burial will follow in Westlawn Cemetery, Denver, Indiana. Visitation will be from 2-6:00 p.m. on Saturday, May 19, 2018, at the funeral home. Memorial contributions may be made to Church of the Heartland. McClain Funeral Home, Denver, Indiana, has been entrusted with arrangements. 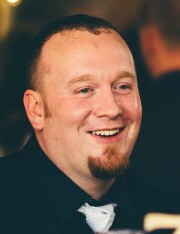 Please share a favorite memory of Nathan with the family as an online condolence at www.mcclainfh.com, or as a printed memory you can bring or send to the funeral home at 3500 West State Road 16, Denver, IN 46926. These memories will be treasured by his family and children for years to come.